Come join us for “One Night in Dublin” and be transported to Murphys Pub, where the house band, The Wild Murphys, will be performing great Irish songs by the likes of The Pogues, The Dubliners, The Fureys, The Saw Doctors and many more. Middi and his award winning seven piece band are widely regarded as one of the best Irish bands in the UK, having played thousands of shows since starting back in 2005. The Wild Murphys have played all over the UK and Ireland as well as Spain, Greece, Dubai, Germany and came 3rd out of 38 bands competing for title of International Irish band of The Year back in 2010 in Las Vegas, while in 2018 they scooped the title of Best Irish Act (UK) in the LUX Global Entertainment Awards. You’ll not be able to help yourself singing along to fantastic Irish classics such as ‘Galway Girl’, ‘Tell Me Ma’, ‘Dirty Old Town’, ‘The Irish Rover’, ‘Brown Eyed Girl’, ‘Seven Drunken Nights’, ‘Sally MacLennane’, ‘When You Were Sweet Sixteen’, ‘Whiskey In The Jar’, ‘Wild Rover’ and ‘Molly Malone’ to name just a few. 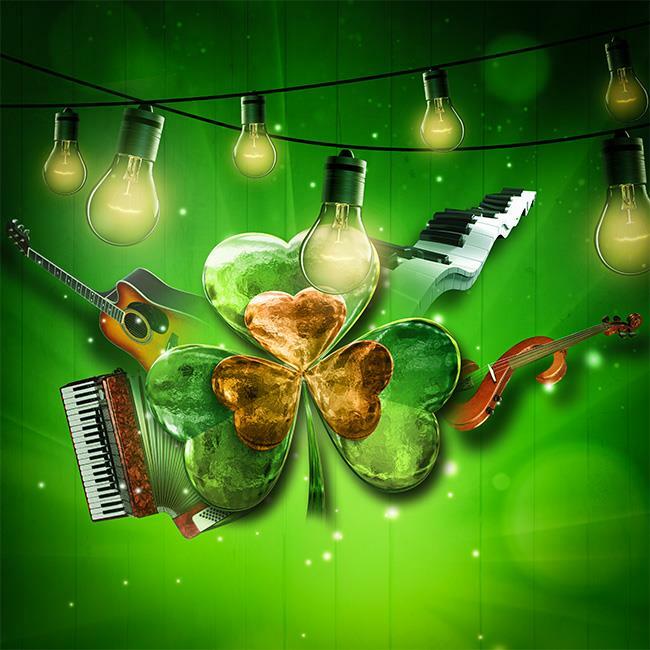 Come join us for "One Night in Dublin" and be transported to Murphys Pub, where the house band, The Wild Murphys, will be performing great Irish songs by the likes of The Pogues, The Dubliners, The Fureys, The Saw Doctors and many more.